Country Club India Events: Country Club India is Now Country Club Hospitality & Holidays! 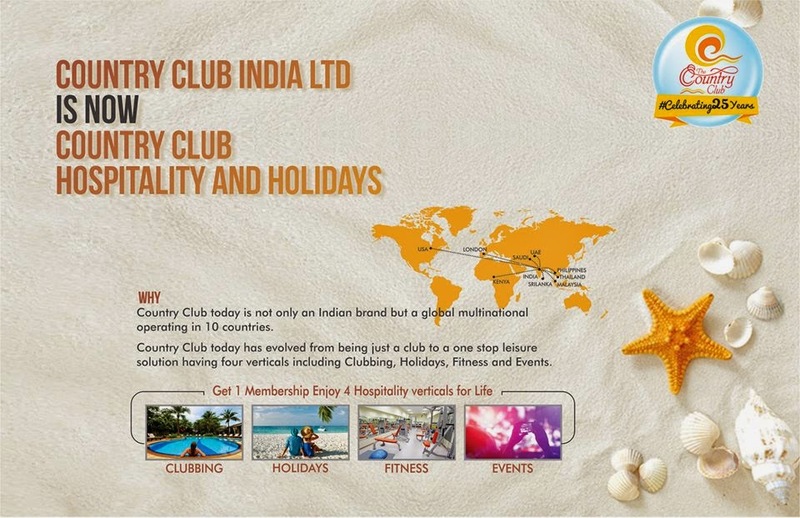 Country Club India is Now Country Club Hospitality & Holidays! In 25 years, Country Club has grown into a largest chain of wholesome hospitality network in India & beyond. To emphasize the spectacular growth, and to further expand Country Club on global scale, we have decided to rename and re-brand our network on universal terms. Henceforth, the Country Club India will be known as the Country Club Hospitality & Holidays. From providing access to mere one hospitality vertical - Clubs, today Country Club is a one-stop destination for all 4 key hospitality verticals - Social Clubs, Holidays, Fitness and Events, with just one membership. We are a proud Indian company which started from India, but today, Country Club is present in 10 countries employing 17 different nationalities. The new name tells the world that Country Club India is a global hospitality company catering to all nationalities. Thanks to the fabulous support from our esteemed members, the journey has been incredible!